Players take on the role of an adventurer defending the town from monsters that have begun to suddenly appear. 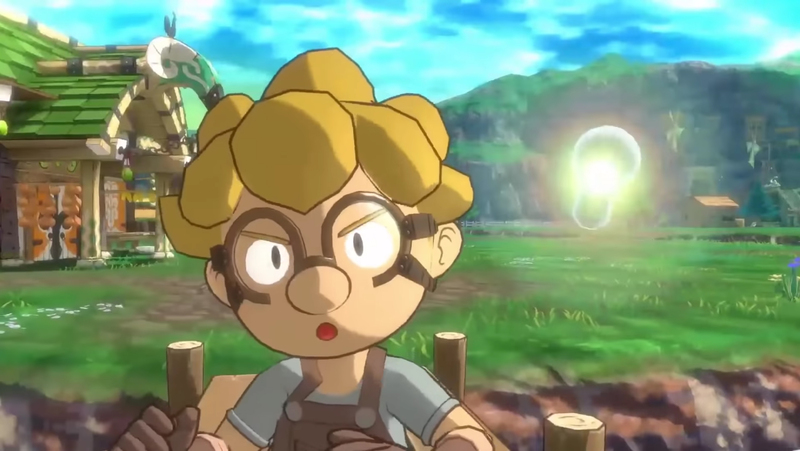 The game was revealed as part of last night's Nintendo Direct, with a short glimpse of gameplay. Game Freak announcedTown (working title) for the Nintendo Switch today. The game was described as being "a new story in a village with a secret to hide". On the surface, it's a pretty ordinary town, besides the fact that it keeps being attacked by very big monsters. Little else was really said about the game, except that it's out in 2019. However, the ways in which players fight back differ from other Game Freak titles. Besides TOWN and countless Pokémon titles, Game Freak has also developed such games as Tembo the Badass Elephant, Pocket Card Jockey, HarmoKnight, and Drill Dozer. The game will release next year for Nintendo Switch, and seems like an RPG worth keeping your eye on, especially if you're a fan of Game Freak. Players will be able to enlist other townspeople to help in hard battles. They've done other games in the meantime, but none has proved anywhere near as popular as the games where you capture adorable innocent creatures and force them to do battle against each other.